Spreading awareness of the scale and nature of stalking and harassment has lead Hamish to be involved with charity work to help victims of these crimes. He has an ongoing commitment to ChildLine to help explain the application of harassment legislation in child bullying cases. He is also an advisor to the charity Act Against Bullying, where he assists in raising the awareness of bullying. 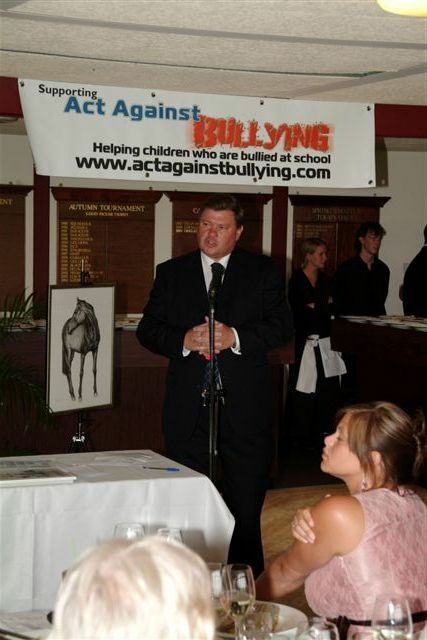 Hamish is pictured here speaking at the Act Against Bullying charity lunch at the Guard's Club, Windsor Park. 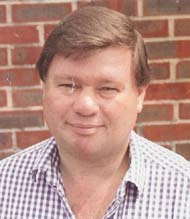 Hamish addressed the Victim Support (Surrey) awareness day at the Surrey Police Headquarters, Mounte Brown, Guildford. If you think Hamish can help your organisation which represents victims of crime, please contact him now.